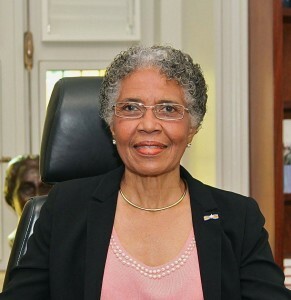 WILLEMSTAD – Governor Lucille George-Wout has, in recent days, held consultative talks with successively the President of Parliament, the Vice-Chairman of the Advisory Board, the Minister of State, a delegation of the platform 'national dialogue', the leaders of the political parties that are represented in parliament, as well as the independent Members of Parliament. Subsequently, there has been a preliminary discussion between the Governor and Mrs. Larmonie Cecilia, the proposed ‘formateur’ of the current majority in parliament. Based on these talks, the Governor decided to put immediately into motion the process to come to a formateur of an interim cabinet. This was announced by the Cabinet of the Governor in a press release. At a later stage, the new majority will undoubtedly insist on the reversal of the dissolution of parliament and the organization of elections on 28 April.